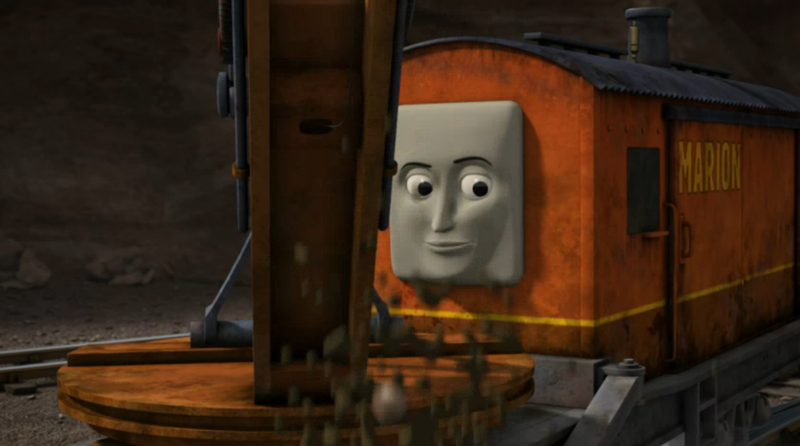 Episode 12 has come and gone, so here's my review of Marion and the Pipe! After almost half the series, a second member of the new roster from Tale of the Brave makes her presence known. If you've read my review of it, you'll know that I like Marion quite a bit, but can she hold her own in a starring role? I personally think she did, as the episode itself is pretty good. But that's all I think it is: pretty good. Not terrible, but not fantastic either. The conflict is the main sticking point for me. It is a good one... in its current form. But I'll get to what I'd change at the end. 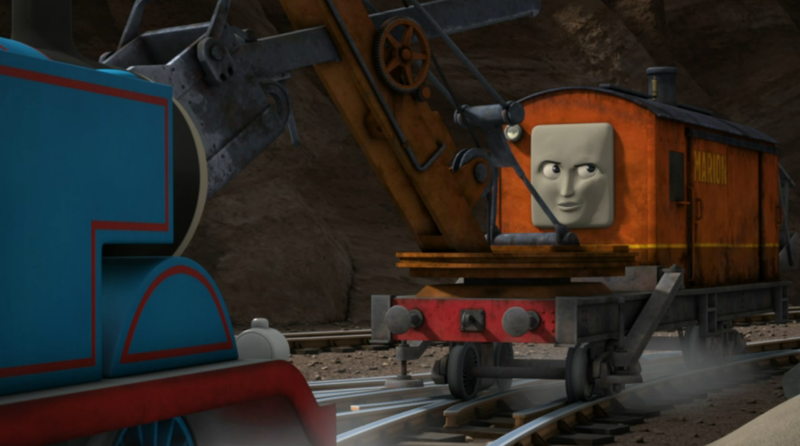 Marion had a great starring role, with probably one of the funniest moments of the TV series. Let's just say she'd probably be a great golfer as well as a cricket fielder. It's not the most realistic moment, I admit, but it is really entertaining and it builds quite a bit of tension. 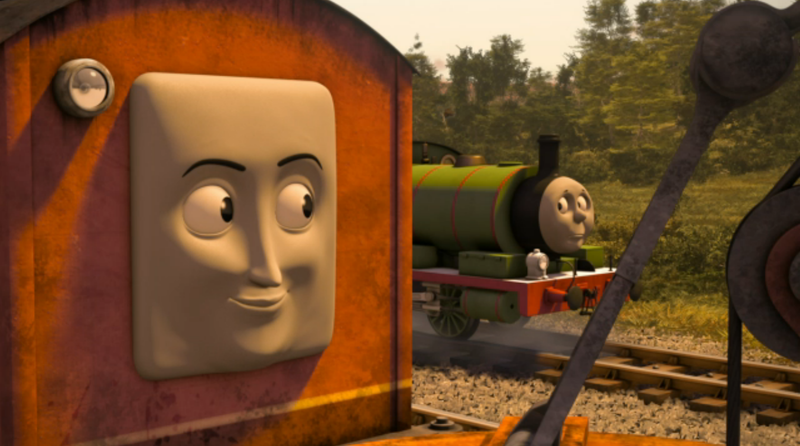 It was also pretty humorous how Percy made an excuse to ignore Marion's story, and it's a breath of fresh air that he's more concerned about his job than hearing tales, something that would have been completely different had it taken place a few years ago. Marion's game with Bill and Ben was quite nice and it felt rather natural. 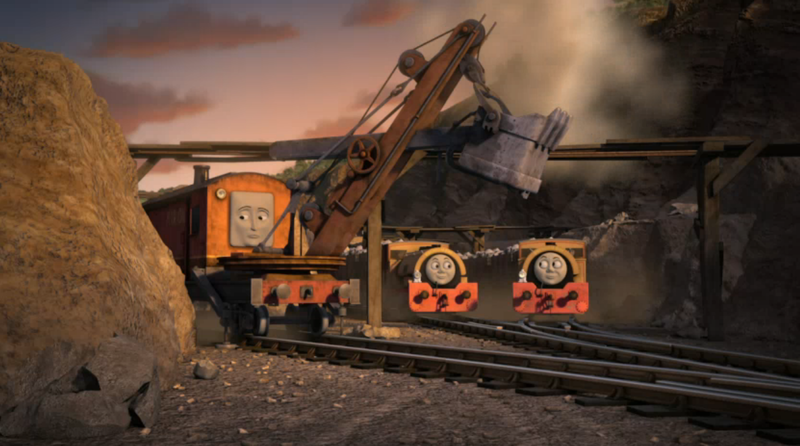 Again, the twins were great for the amount of time they were on screen. 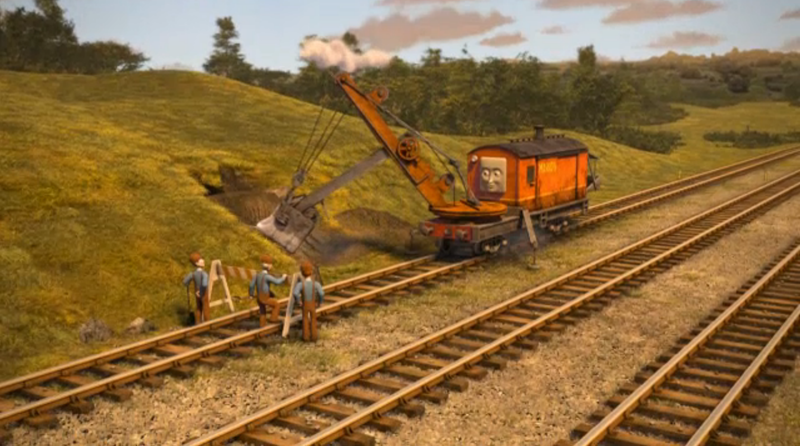 It was a shame that Timothy didn't feature, but I suppose someone has to sort the Clay Pits out! 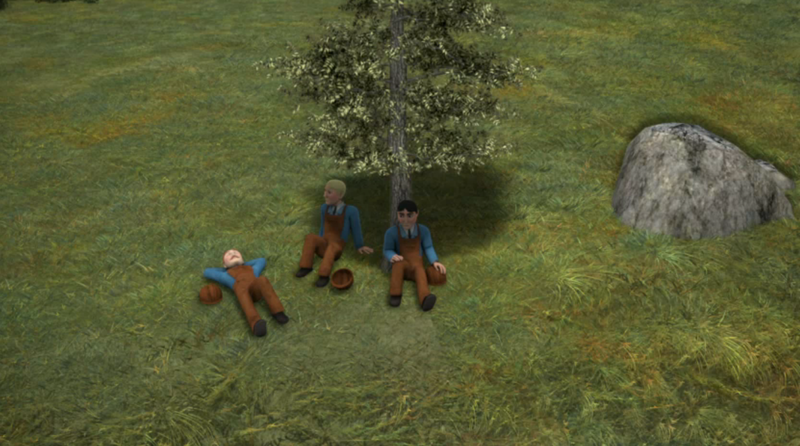 On a slight tangent, I love this shot of the workmen under the tree. English workmen have a... "reputation" of slacking on the job, and to see that here was pretty funny. 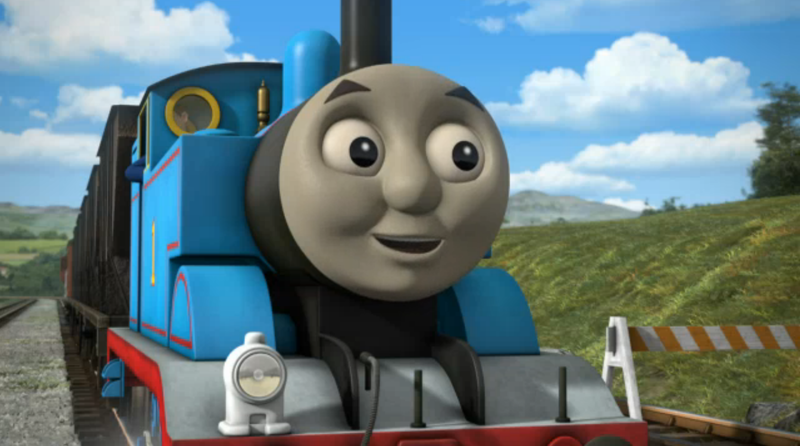 One thing I do have to say though: please stop flip flopping Thomas from a branch line engine to a main line one. It just feels like every appearance he has on the main amounts to contrivance, especially these days. I don't mind him being there, but there has to be a reason for it, rather than "to allow the plot to happen". The animation was fantastic again. 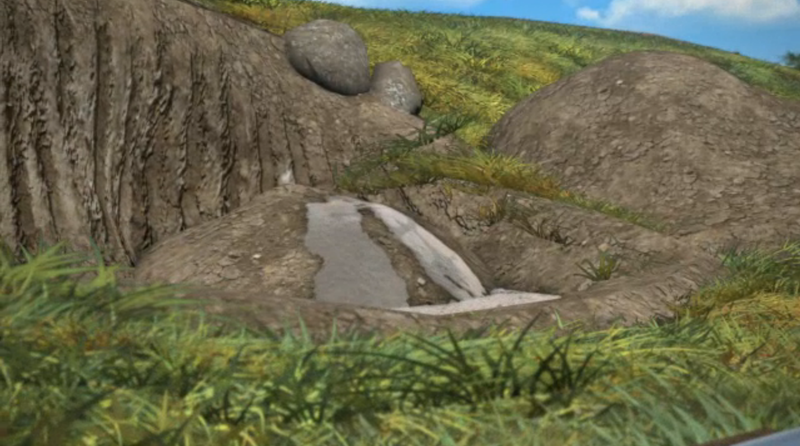 The angles were great and that little mudslide was rendered beautifully, but there's one shot that, I'll admit, felt weird to watch. 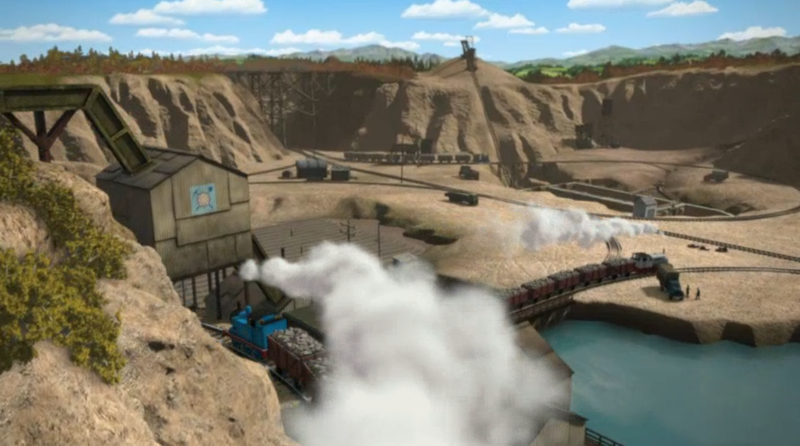 The panning shot over the Clay Pits was beautiful. 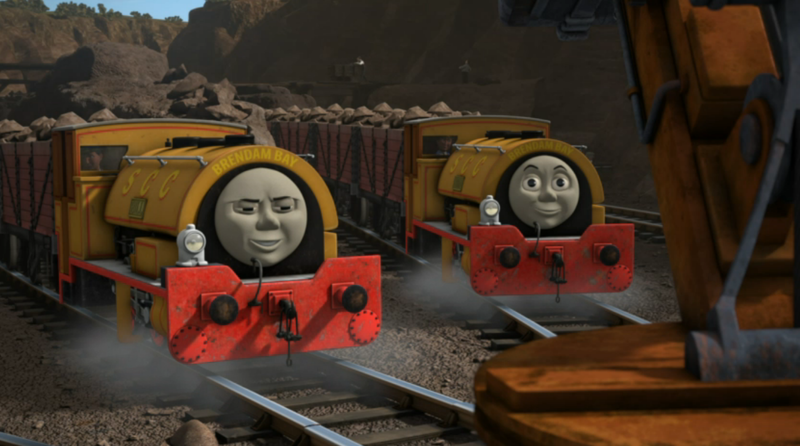 The issue that many fans have with it is that it felt like the panning shot from Tale of the Brave, which isn't really helped by the fact that Stanley passes on the same line with the same amount of trucks. As I say, I think it's weird, but I wouldn't say I have negative feelings towards it. The TV series has been recycling angles from day one, and this felt more like a reference to that rather than laziness. Besides, they make 26 episodes a year, they deserve to be cut some slack. Out of all of Mark Huckerby and Nick Ostler's episodes, this was around the middle of the road. The action and climax were brilliant, but I feel that the conflict would have been stronger had this taken place near Wellsworth - but still on the main line - with Edward replacing Thomas as the co-star, having Marion learn from someone old, not "a young engine" (her words). 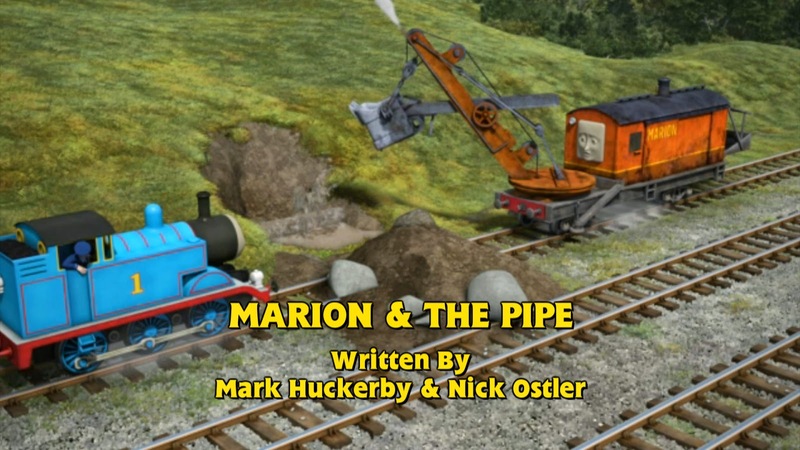 Despite that, Huckerby and Ostler know how to write Marion, Bill and Ben really well. Episodes like these are a great way to mix things up a bit once in a while, and I'd have no qualms if these two wrote more of them. But next time, try using someone other than Thomas.